This example is an email containing the subject of “Payment Advice ” pretending to come from HSBC UK but actually coming from a look-a-like or typo-squatted domain “noreply@hsbc-paymentadvice.co.uk” or “noreply@hsbcpaymentadvice.co.uk” with a malicious word doc attachment is today’s latest spoof of a well-known company, bank or public authority delivering Trickbot banking Trojan. 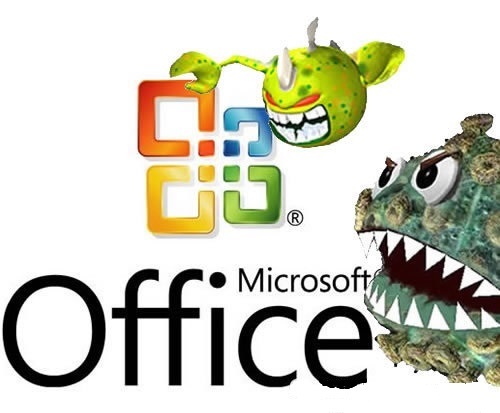 This version is probably using Threadkit which is an office doc exploit builder using the Microsoft Equation Editor Exploits CVE-2017-11882 and/or CVE-2017-8570 and other office exploits instead of Macros. I understand that one of the exploits being used possibly uses an exploit in Adobe flash that when run crashes word and allows the shell code. I am informed that even if you are fully updated in Microsoft Office but flash player is outdated, this exploit still runs and will infect you. I am not 100% certain if protected view in Microsoft Office stops this but I believe it does. This is one reason to add additional security and make sure you set RTF files to display only and not allow editing of RTF files at all. That will stop this and any other currently known exploit from running. The attached payment advice has been issued at the request of our customer. Your documents have been encrypted with the strongest encryption and a unique key, please print and sign the attached document. This e-mail is confidential. It may also be legally privileged. If you are not the addressee you may not copy, forward, disclose or use any part of it. If you have received this message in error, please delete it and all copies from your system and notify the sender immediately by return e-mail. Internet communications cannot be guaranteed to be timely. The sender does not accept liability for any errors or omissions. HSBC has not been hacked or had their email or other servers compromised. They are not sending the emails to you. They are just innocent victims in exactly the same way as every recipient of these emails. What has happened is that the criminals sending these have registered various domains that look like genuine Company, Bank, Government or message sending services. Normally there are between 2 and 4 newly registered domains that imitate Companies House, HMRC, another Government department, a Bank, file hosting service or a message sending service that can easily be confused with the genuine organization in some way. Some days, however, we do see dozens or even hundreds of fake domains. Today’s examples of the spoofed domains have switched from being registered via Godaddy or Tucows as registrar using privacy protection services to using name.com as registrar and using obvious fake or stolen details. hsbc-paymentadvice.co.uk sending emails via 93.88.74.204your.giantpeace.net Burgas Burgas BG AS49981 WorldStream B.V. and also sending emails via 37.46.119.177 nld-net-ip.as51430.net NL AS51430 AltusHost B.V.
hsbcpaymentadvice.co.uk sending emails via 217.12.201.127 hans.me Dronten Provincie Flevoland NL AS21100 ITL Company and also sending emails via 95.211.158.50  AS60781 LeaseWeb Netherlands B.V.